On November 15, 2008 two fires started on opposite ends of the hills about two hours apart. The first fire ignited near the 91 Freeway on the eastern side of the hills in Corona by an automobile exhaust catching dry brush on fire, while the second fire began nearly 11 miles away to the northwest, in Brea, due to an unmaintained power line that also ignited dry brush. 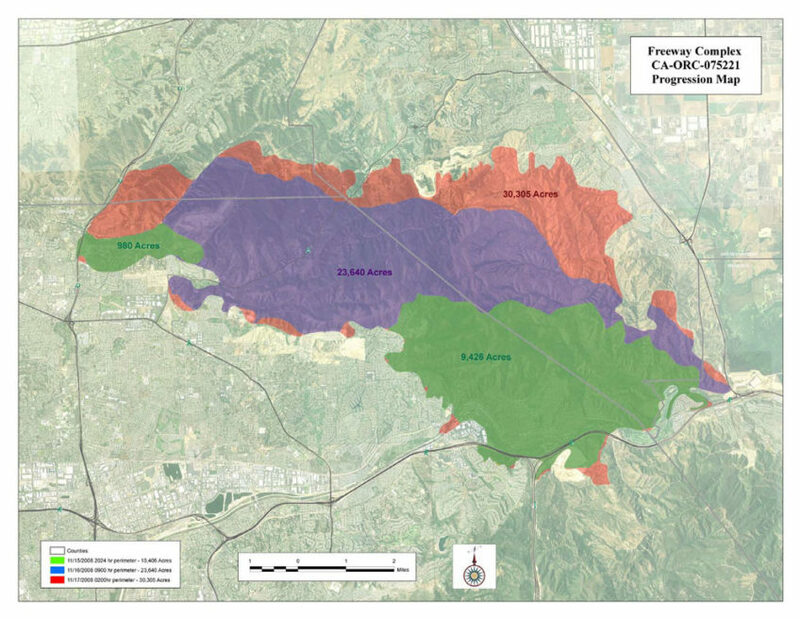 Download the Freeway Complex Fire Map as a PDF.